CHBC is the only organization that focuses on the business of hydrogen. We bring people together to exchange information, create business connections and share information about being successful in a nascent industry. As a member, you are part of the organization that is on the leading edge of making the hydrogen economy a reality. Our members develop, adapt, and implement technology and services that are taking the hydrogen economy into the mainstream. 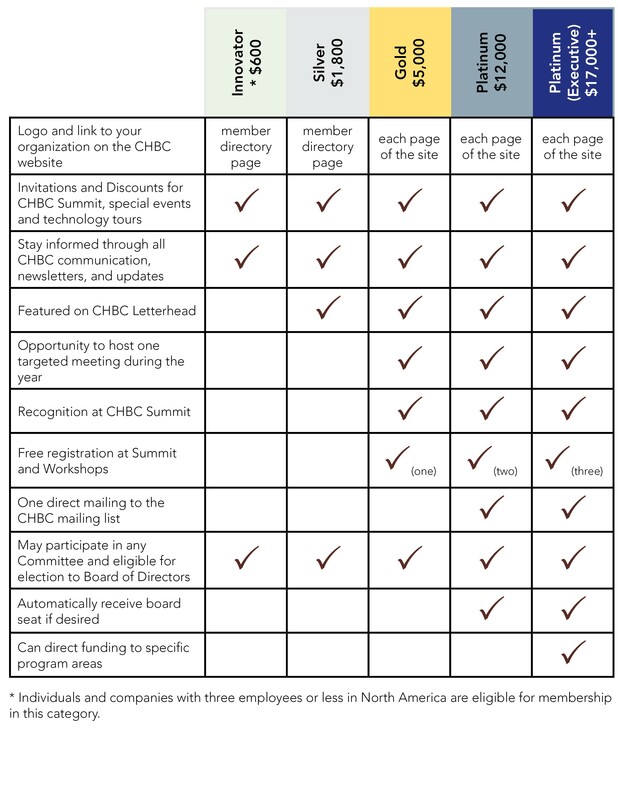 All members can attend CHBC’s meetings at a discounted rate, access the “Members Only” website with materials and presentations, have a voice in the direction of the council, and much more. Coordinate networking and activities with other hydrogen and clean energy organizations by being an organizational member of the California Hydrogen Business Council. CHBC members include fuel cell and vehicle manufacturer, hydrogen production, delivery and storage companies, universities and national labs, distributors, and many other leaders in the hydrogen business community. CHBC membership is the easiest way to get connected to the many different segments of the hydrogen energy industry in California. Through Summits, workshops, VIP luncheons, special meetings or industry tours, the CHBC brings industry representatives, decision makers, and stakeholders together to exchange information, create business connections and work to advance the commercialization of fuel cell and hydrogen energy technology. The CHBC provides a powerful industry voice advocating for inclusion of fuel cells and hydrogen energy in energy policy discussions in California, and the role of hydrogen as a clean and reliable form of energy for transportation, energy storage, and backup power. Your membership will ensure that your business—and your industry—have a strong voice in these discussions via our Sector Action Groups (SAGs). Members are kept up to date on legislation and regulations that may affect their business. VIP luncheons allow you to establish relations with decision makers in California. The CHBC works to educate policymakers, investors, customers, and other stakeholders in the facts related to hydrogen energy. We are continuing to develop information resources that are advancing the level of knowledge and interest in hydrogen and fuel cells. As a member, you can use these educational resources to help build demand for your products. Coordinate networking and activities with other hydrogen and clean energy organizations by being an organizational member of the California Hydrogen Business Council. For less than the cost of one ad, you can position your firm to become a leader in the fast-growing hydrogen market. Organizational memberships are classified into several categories: Bronze, Silver, Gold, and Platinum. Membership designed for individuals or very small or emerging businesses that employ less than 3 staff in North America.